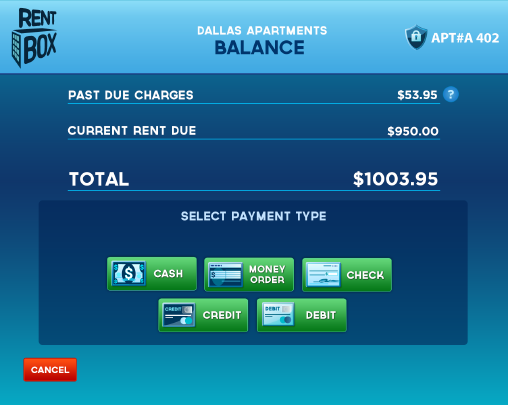 RentBox allows tenants to make rent payments by kiosk or website 24×7. 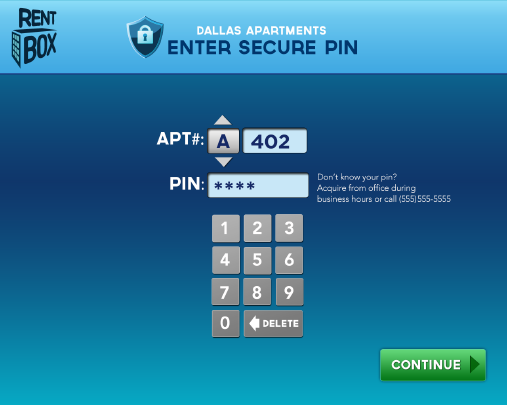 RentBox simplifies the rent payment process for tenants and landlords with 24×7 availability by kiosk or website. Reduce payment disputes with on demand reporting for both parties. RentBox offers convenient payment options for tenants and extensive record options for landlords 24×7, by kiosk or website. 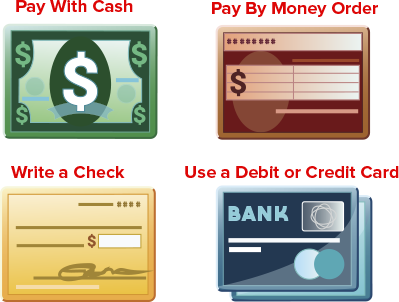 RentBox allows tenants to pay with: cash, money order, check and debit or credit card. 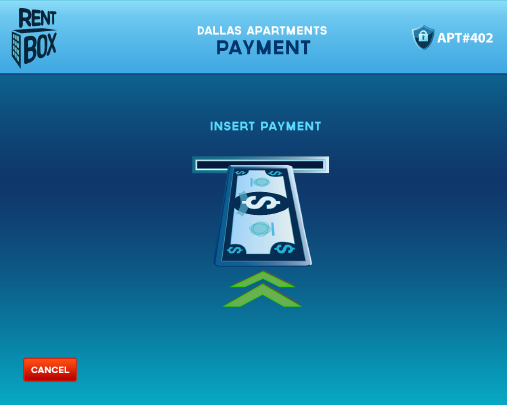 Payment variety offers convenience to tenants, while RentBox reduces hassle for landlords. 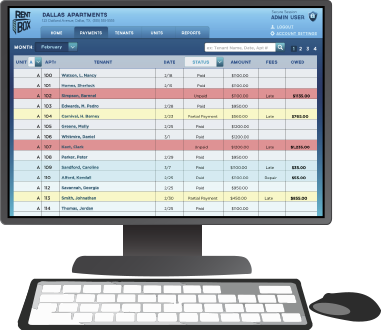 RentBox provides immediate record updates by integrating with any accounting system. 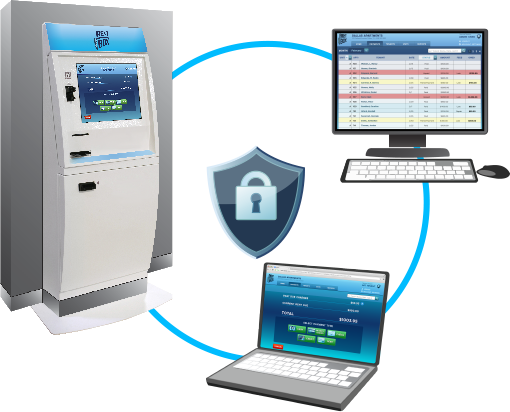 Eliminate paperwork and increase convenience with the RentBox kiosk or website system. 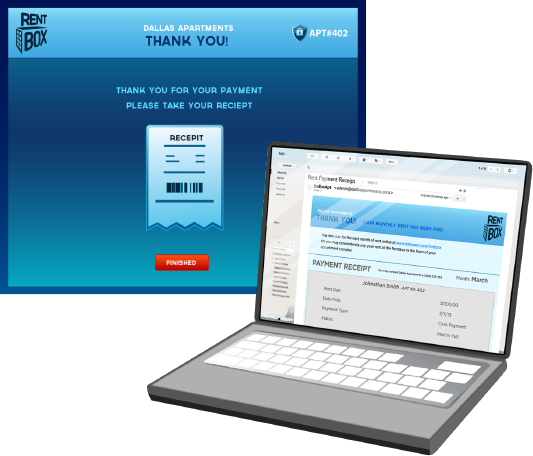 RentBox provides efficient integration that links kiosk and web payments to your office accounting system. Our cohesive system eliminates paper work and improves operations. Through RentBox, landlords maintain up-to-date accounts and provide tenants with receipts and balances 24×7, by kiosk or website. © Copyright 2016. RentBox, LLC. All rights reserved.